Thank you so much it was a fun quilt to make. I’m looking for the “cornerstone” block tutorial – the block you have on your Instagram. 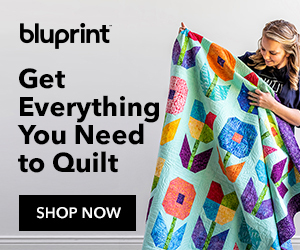 I came looking for the Free Zippy Quilter’s Planner Cover PDF Pattern. Unable to find a workable link for this download. I’m a new quilter and I’m trying to find out how to join the border cable stencil at the corners, I can’t figure out where I join them on the straight edge. Can you direct me to the instructions for the Christmas Wreaths with the red bows? That’s adorable. this is beautiful I can’t wait to make it. I want to make the JOY framed Christmas project and it noted a PDF for the lettering. How can I find that so I can print the letters? Your work in quilting is so beautiful! Thank you for share with me! I am looking for your Patten for the wreaths in your Christmas quilt from 2014. Please help me find it. First I would like to thank you for your generosity in sharing your tutorials. I love them. Secondly, is there a way to print just the tutorial pictures and instructions without printing all the comments. Thanks again. Hello I have just found this site by accident love all of the projects Christina from down under. Just found your site by accident,just love it,in love with the wall hanging just finishing one myself.Thanks for a fabulous craft site.cheers Ronda down under. I love the xmas mug rugs. Thanks so much for the tutorial. Sorry, to bother you again, I meant to ask you, if you happen to know what fabric was used on the top center block on your website? I love the color combination. White, green and blue. I would like to know, if you could tell me where I can find the tutorial for the block in the top row, center block? The white, green and blue block. I just love the pattern. Is it a block you made? It’s beautiful and I would love to try and make a table runner with the block. If you could please tell me where to find the tutorial, I would appreciate it very much. I just wanted to let you know also, I found the material I was looking for ( the iron caddy ) I ask you about, back in December. Thank you so much for your help on that. I just love your website and look forward to all your new postings for all your new projects!! Love your ideas and tutorials! Great site! I found you happily by accident!!!! Love your website and ideas, turorials. Lots of fun. your tutorials are sew delightful. I did tour and love your colorful sewing room……inpires me lots. Wow! All your blocks are beautiful!! !